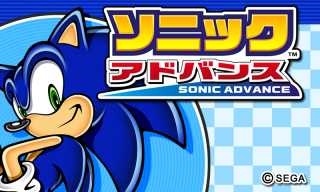 Sonic Advance is a port of the Game Boy Advance game Sonic Advance to Android devices. It was made available in Japan through the PuyoSega subscription service, though it was apparently free for anyone to download. The game itself is nearly identical to the Game Boy Advance version. Graphics are upscaled from their original resolution. Game performance is hit-or-miss depending on the device, with some users reporting 100% speed while others report that it runs ridiculously slow. The invincibility theme, originally a remix of the classic featured in Sonic the Hedgehog and Sonic the Hedgehog 2, is replaced with a remix of the Sonic Advance title theme. The Sonic the Hedgehog and Sonic the Hedgehog 2 throwback bosses, featured in the X-Zone stage, no longer use the remixes of their original themes. Instead, the two feature the final boss themes from Sonic the Hedgehog 4. There is no known way to access the Sonic and Tails mode within this port. The Android port does not feature the Tiny Chao Garden and contains no files referring to it. Several users have reported bugs within the port ranging from terrible framerate on various Android devices to the game locking up when the device goes into sleep mode. These bugs are most likely caused by the game only being tested on a limited range of hardware. This page was last edited on 18 August 2018, at 17:04.